Last fall, Vesanto travelled to Philadelphia for the American Dietetic Association’s 2007 Food & Nutrition Conference & Expo. During her trip, she facilitated an after-school program for teenagers in Malaga, New Jersey. This month’s column was inspired by that program. Do kids naturally hate vegetables or is this a myth that refuses to die? The food presentation and sampling event described below, designed for children aged six to 14, might inspire your own ideas about getting kids to eat healthy. Typical school snack menus feature pizza, grilled cheese sandwiches and ice cream but with so many youngsters becoming overweight, there is an urgent need for alternatives. 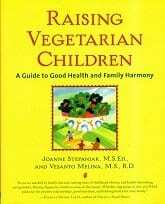 Our “Eating Veggies 101” class began with lessons from the book Raising Vegetarian Children. 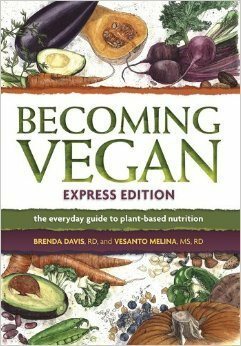 We began by first taking a look at the nuts and bolts of eating plants. 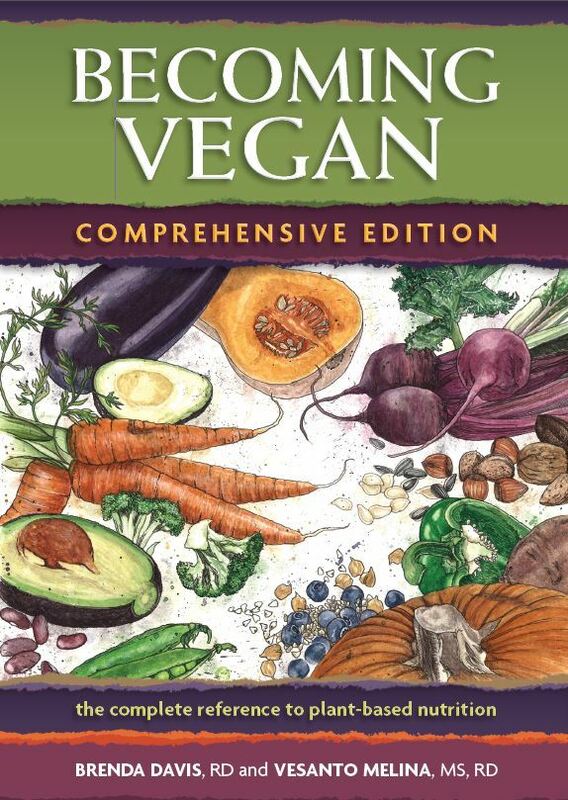 For example, we eat many different parts of plants: leaves, stems, flowers, roots, fruits and seeds. Could any of the students think of a plant we consume that is also a leaf? How about food that comes from the stem of a plant or from a flower or a root? The youngsters’ participation was immediate and enthusiastic, though as might be anticipated, some answers were given more to amuse than to be helpful. A reply given for the question about a possible leaf to be consumed, for example, was tobacco. This answer made us all laugh, as intended. But the kids came up with plenty of good answers too, such as collard greens, spinach, lettuce, kale and dandelion greens for edible leaves, celery and asparagus for succulent stems, beets and carrots for tasty roots, and broccoli and cauliflower for flavoursome flowers. Our group included children from a variety of different cultural backgrounds. The African-American kids were particularly familiar with collard greens, sweet potatoes and peanuts, and we discussed how peanuts are known as “ground nuts” in Africa and that they grow just under the earth. Asian kids, for their part, knew of many interesting greens that we commonly find at Chinese and other Asian restaurants while the Mexican children knew plenty about avocados, tomatoes and chilli peppers. We discussed how fruits contain seeds and are the part of a plant involved in its reproduction while other plant parts are called vegetables. For example, seeds are present in pumpkins, berries, apples, oranges and pears. Some people say a tomato is a vegetable while others call it a fruit. Who’s right? We discussed that although we commonly think of certain plants as vegetables, to a botanist they would actually be fruits. Some examples are avocados, cucumbers, eggplants, peppers, squash, tomatoes and zucchini. As we talked, we held up examples that we had brought: broccoli, garlic, hot peppers, eggplant, dry chickpeas, a bean in the pod, walnuts, etc., and asked which part of the plant each one represented. We soon reached the practical (and best) part which involved eating the samples. Plates were heaped with carrot sticks, celery sticks, red pepper strips, snow pea pods, green beans and spinach leaves. A bowl held peanuts that were still in the shell. For dip, we had bowls of hummus (made from chickpeas, sesame seed tahini, lemon juice, a little garlic and pepper). The budding gourmands had ventured into new territory and were enjoying new kinds of foods. Parents and caregivers present were also captivated and many asked for the hummus recipe or where they could buy it ready-made. When children reject vegetables, they may be mirroring a lack of enthusiasm on the part of adults. Luckily, we can revisit this idea. Try a new vegetable or fruit each week or month. Take an interest in the part of the world it comes from, how it grows and how it can be prepared. While our opportunities to visit different countries may be limited, we can always explore the world from our kitchens and classrooms. 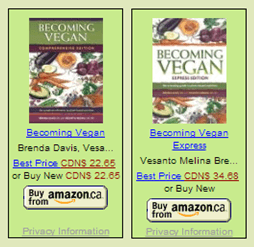 Vesanto Melina is a dietitian and author based in Langley, BC. Call 604-882-6782 for a personal consultation or visit www.nutrispeak.com Also see www.healthyschoolfood.org to get a year’s worth of daily Wakeup Wellness Messages for a $50 donation.